As drone technology improves, more real estate agents opt to put these flying devices to use. This is for a good reason too. Drones provide excellent aerial views of neighborhoods and properties, and they can also help to create interactive-style home tours. Before you get excited about trying out drones, it is a smart idea to consider your options and responsibilities. As exciting as drones may be, you should never brush off concerns over liability. Even if you are working with a professional photographer authorized to use the drone, you may need insurance coverage. Let’s say that the drone causes damage to property or even injures a person. What does your brokerage insurance cover should your company be sued for the costs of this incident? Drones are still relatively new on the scene. There is no guarantee that your policy will even cover damage caused by drones to begin with. In order to remedy your concerns about liability, it is essential that you sit down and take a look at the policy you have. If it is not immediately clear that drone technology is covered, make a call to your provider to ensure that you are off the hook. In order to operate a drone as part of your commercial business, you would have been required to obtain an exemption from the FAA. Even those who do not use their drone for business are required to register the devices. This was valid until August of this year, when the FAA changed requirements with a new rule requiring a license to operate a small unmanned aircraft. Drone technology is shaping up to change the world of real estate for good. While drones tend to be relatively safe with an experienced pilot controlling them, they do offer some risks to both person and property. In some drones, batteries can actually explode if they are involved in a crash. The drone itself can also hurt people if it crashes into them. The key to utilizing drone technology is to clue into what your clients want to see. Do they really want to see a bird’s-eye view of the neighborhood, looking at roofs, or do they want to see short clips of more useful information about a home? 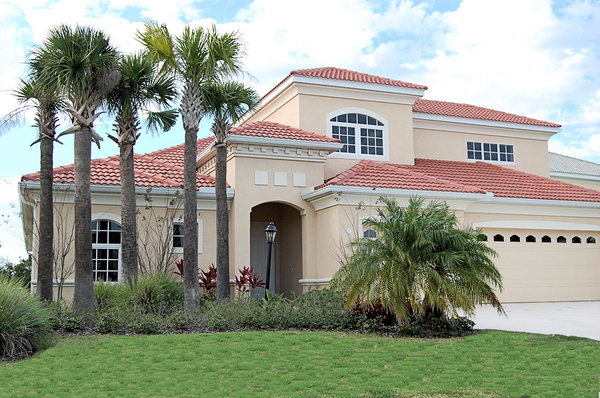 A tour of the home and grounds that is done succinctly is much more pleasing for a potential buyer. If you find yourself unable to obtain the required permit to operate a drone for commercial purposes, you may wish to hire a real estate photographer who already has such a permit. Ultimately, drones offer a much more interactive experience for a potential buyer. Contact us for more information about staying up to date with real estate education and trends. 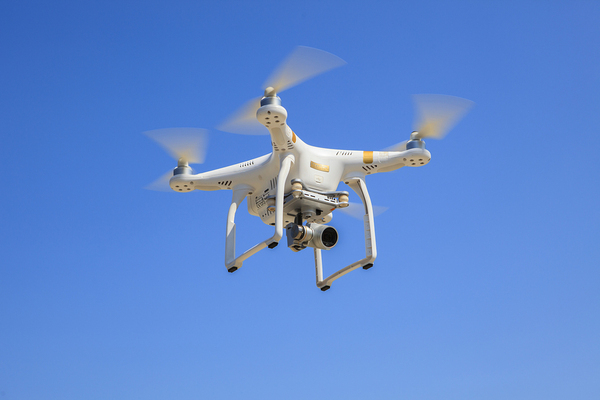 A recent survey conducted by the National Association of Realtors revealed that less than half of realtors, about 44 percent, are currently utilizing drone technology in their work. 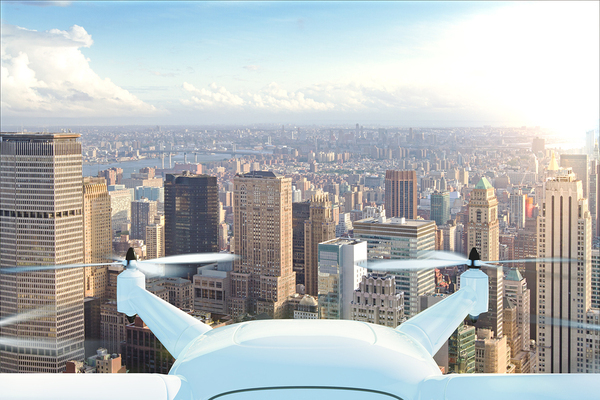 Of the remaining 56 percent of real estate agents not using drones, about 18 percent were planning to use drones in the future. Many factors contribute to drone use, from age of real estate agents to technological expertise. Will the use of drones expand in the years to come? All signs point to yes. It may appear that the median age and years of real estate industry experience are dipping as new professionals enter the market, but this does not mean that these new real estate agents are any less resourceful. Real estate agents are entering the field much earlier than they have in the past, and continuing education requirements keep them learning fresh perspectives. 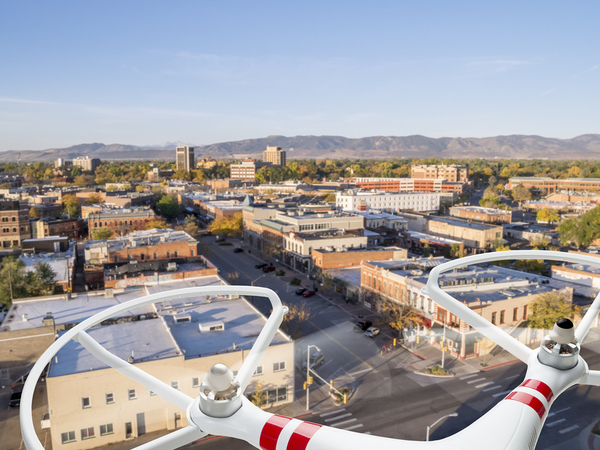 While most real estate agents may not be using drones, 18 percent claimed they had plans to use them in the future. Additionally, another 12 percent of those surveyed by the NAR claimed that at least one professional in his or her office used drones, and a similar percentage had hired professional drone photographers in the past. It is true that younger generations tend to latch on to new technology more quickly than older ones. This is not to say that more established realtors will not find drones useful. Younger real estate agents may be more likely to introduce drone technology to an office, giving the entire firm a boost. The videos created with drones can certainly give real estate agents a competitive edge. Some people, especially those who live far away, are not going to purchase a home without properly inspecting it. Additionally, drones make it easy to assess property lines and potential damage. Buyers want to know that they are getting full insight into a house, whether it will be a family home or an investment. As prices of drones drop, more real estate agents are apt to purchase them. Additionally, the prices of drone photographers will drop as well. As drone photography becomes more attainable, real estate agents will take advantage of it, providing clients with a better understanding of property and structures. It used to be that drone photographers were inexperienced and that the quality of the photos they produced was poor. Today, photographers and drone technology have both come a long way. You can receive crisp, clear images and video with even a basic setup. Ultimately, drones are simply another tool a real estate agent can keep as a resource. To learn more about incorporating technology into your real estate career, consider continuing education courses. Contact us for more information about ways you can give you career a boost. On June 21, 2016, the Federal Aviation Administration (FAA), determined new rules to set in place for those operating drones. This new regulation, known as the Small Unmanned Aircraft Rule, is a response to further use of drones for commercial and amateur purposes. With a developing segment of real estate agents focusing on drone photography for commercial purposes, this information is especially important. The new rule for drone technology is explained in full at the FAA website. It went into effect at the end of August of 2016 and applies to drones that weigh less than 55 pounds. The rule allows businesses, including real estate entities, to use small unmanned aircraft commercially without obtaining an exemption or waiver. In the past, commercial use of drones would have required a Section 333 exemption approved by the FAA. Your business would have had to have been analyzed and assessed. Today, you are not required to hold a pilot’s license in order to operate a drone, but you must obtain a remote pilot certificate instead. In order to be eligible to obtain the remote pilot certificate required to commercially operate a small unmanned aircraft, you must be at least 16 years old and possess English-speaking skills. Additionally, you must be in physical and mental shape that allows you to operate the drone safely as well as to pass a brief aeronautical knowledge test. There is also an application fee. As exciting as piloting a drone may be, you must also take precautions before using one commercially. If the drone you are using to take photos is involved in any sort of accident, you are required to report it within 10 days in certain circumstances. This is the case if you cause serious injury to another person or cause damage to a property costing more than $500. Before you begin using a drone, it is important that you get in touch with the firm managing your insurance. It is imperative that you have a broad understanding of how much (if any) coverage you receive for incidents caused by an unmanned aircraft you may be controlling. Unfortunately, many brokerage insurance companies do not cover any aspect of drone technology. Drones are still so new that many real estate offices do not even think about coverage. This is why it is so important that you make a call before getting started. What Does This Mean for Real Estate Agents? If you are a real estate agent who currently uses drones or is thinking about using drones, the process has gotten simpler. Do not be deterred by the FAA’s ruling. Contact us for more information about staying up to date with real estate education and other important information. 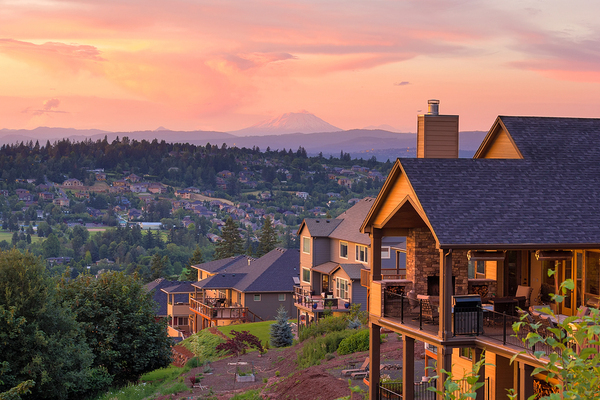 Working in the real estate industry in Oregon requires you to become a broker. Licensed real estate brokers work under principal brokers. In order to become a broker in Oregon, you must be at least 18 years old. You must also have either a high school diploma or GED. In order to qualify for your broker’s license, you must first complete 150 hours of pre-license education. The school through which you study must have been approved first. If you already have your identification number from the real estate commission, you may be asked to provide it to the institution. Upon completing your educational courses, you will be able to take the state licensing exam. There are two parts to the broker license exam, and you are required to pass both in order to work in the state of Oregon. Educational and examination requirements ensure that you are prepared to work as a broker in Oregon. At a testing center, you must also give your fingerprints and consent to a background check. The fee for this background check is non-refundable. You must first visit the Oregon Real Estate Commission and create an account. Then, you can apply for a broker license and pay the application fee online. Upon receipt of your application, you will be sent an identification number via email. It is important that you apply for your license within one year of having your background check cleared and passing your licensing exam. The commission will approve of your broker license if you meet all the conditions. This means you must pass a background check, you have a principal broker to work with, and you pass educational and exam requirements. The first time you renew your broker license comes with special requirements. You must take a three-hour course in real estate law as well as a 27-hour course for advanced practices for brokers. You can then apply to renew your license online, but make sure that you hold on to attendance certificates to prove you met the requirements. After your first renewal, the process is simpler. Every two years, you must take a three-hour course in real estate law as well as 27 additional hours of real estate education in pre-approved topics. You can then apply for your license online. Courses will include topics like real estate finance, Oregon practice law, working with contracts, and property management. The best way to get started in a real estate career in Oregon is to take educational courses that will show you how to get started on the right track. Contact us for more information about educational courses in real estate. Working as a real estate agent in Pennsylvania requires a license provided through the state’s real estate commission. While obtaining these requirements may take time and effort, working in real estate is also extremely rewarding. Not only do you have the opportunity to set your own schedule, but you also have the freedom to select your own niche. These steps will help you get started on the path to becoming a real estate agent in Pennsylvania. In order to work as a real estate professional in Pennsylvania, you must have a good reputation for trustworthiness and integrity. The Real Estate Commission of Pennsylvania may perform background checks on all applicants. You must also be 18 years old. In order to receive your real estate license in Pennsylvania, you are required to complete some educational requirements. This includes 60 hours of approved real estate course hours. You must complete 30 credit hours in Real Estate Fundamentals in addition to 30 credit hours in Real Estate Practices. Two portions of the exams are required in order to receive your license. You must pass both the Pennsylvania portion and the national portion of the test, which is called the PSI Salesperson Real Estate exam. In order to pass the test, you must score 80 percent or higher. You may take the test three times in order to pass, but if you fail all three times you must re-take the real estate courses. In order to become a real estate salesperson in Pennsylvania, you must have the support of a licensed broker. The broker you affiliate yourself with will ensure that you meet requirements and find footing in the real estate world. 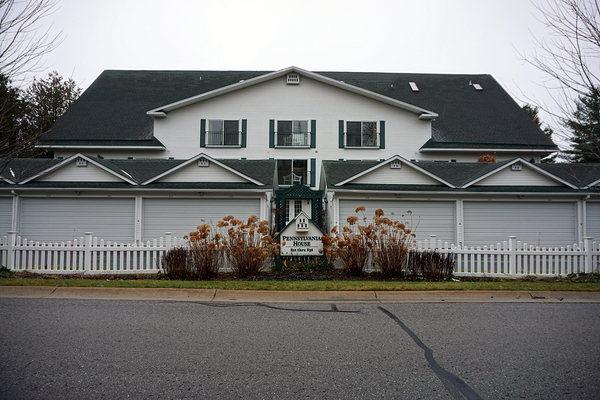 Your affiliate broker will help get you started selling Pennsylvania homes and properties. Submit the licensing application form to the Pennsylvania Real Estate Commission to complete the process of applying to become a real estate agent. You must also submit the required application fee. You must submit paperwork from your examination and evidence that you fulfilled the educational requirements as well. Once you have your real estate license, you must complete 14 hours of continuing education credits in even-numbered years. Continuing education requirements will help you focus on growing as a salesperson. Contact us for more information about Pennsylvania real estate education. Beginning a career as a real estate professional in South Dakota can be quite rewarding. In order to work in the industry, you must begin as a real estate broker associate. The South Dakota Real Estate Commission is in charge of state licensing for the industry. In order to begin working in the real estate industry, you must follow these steps. In order to become a real estate broker associate in South Dakota, you must be at least 18 years old. You may also be asked to complete a criminal background check. The South Dakota Real Estate Commission has full discretion in allowing people to have licenses. In order to receive your real estate license, you must complete 116 hours of education at an approved institution, either online or in the classroom. These classes cover topics like real estate ethics, fair housing, and legal topics. In order to pass the real estate exam, you must score at least 75 percent. The exam is typically administered via computer at a testing center. You must sign up to take the examination in advance, and you must also pay an examination fee to the testing company. This fee is not refundable. If you pass the real estate exam, you have 60 days to apply for your real estate broker associate license. If you fail to apply within this time limit, you will be asked to retake the exam again. These licenses are valid for two years at a time. When you apply, you must submit a fee as well as proof that you meet the requirements to become a broker associate. With the proper broker associate license, you will be able to meet the needs of each client. If you are a new broker associate, you must complete post-license education requirements in order to renew your license after two years is up. This education is designed to build on principles learned in pre-licensing courses. New broker associates must complete 60 hours of education. There are rules regarding when these courses must be taken. In order to renew an active license, all broker associates must finish 24 hours of education every two years. Half of the course hours must be spent on core requirements. Courses may cover topics such as fair housing regulations, property leasing, and real estate law. The courses you take must have been approved by the South Dakota Real Estate Commission. Continuing education allows you to fully understand and keep up with the real estate industry. Contact us for more information about meeting continuing education requirements in South Dakota. Becoming a real estate agent in New Hampshire may be your new dream, but do you know how to accomplish it? The key to pursuing a career in the real estate industry is to understand the steps required along the way. New Hampshire has a series of requirements, just like any other state. 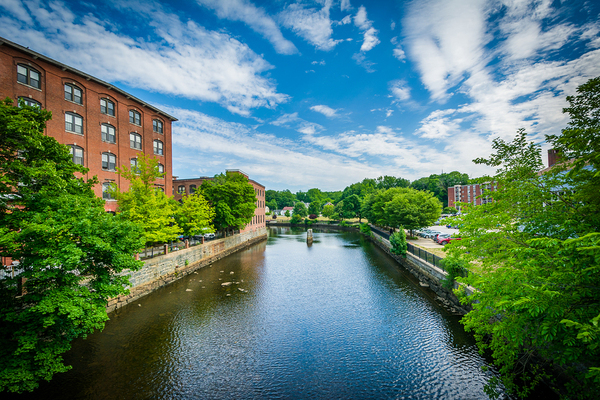 A real estate career in New Hampshire can be a rewarding career path. And the good news is that all you need to do is complete these steps to begin your future. In order to work as a real estate salesperson in New Hampshire, you must be 18 years old. You must not have a record of unprofessional behavior or conduct in a work setting. Additionally, you must have a licensed broker vouch for your character. This typically requires a letter of recommendation sent to the real estate commission in your behalf. In order to take the real estate salesperson licensing exam, you must complete 40 hours of education. New Hampshire may require 32 hours of classroom attendance. These courses will include topics like sales techniques, real estate law, and financial issues. The goal of these classes is to ensure that you can always provide the best service to your clients. The licensing exam will cover topics related to those covered in the pre-licensing education classes. In order to become licensed, you must apply for the license within six months of passing your exam. Otherwise, you will be asked to retake your exams. In order to remain as an active real estate professional in New Hampshire, you must complete up to 15 hours of continuing education every two years. This applies to brokers and salespersons. In order to receive credit for any of these courses, you must score at least 85 percent. Your scores will be automatically reported to the board. 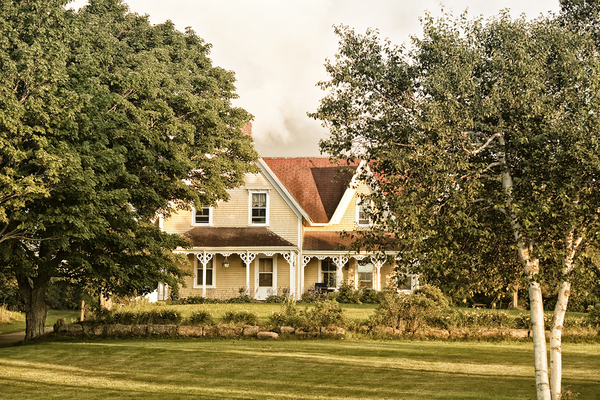 Real estate in New Hampshire is among some of the most diverse in the country. If you choose to become a real estate broker, the process may be simpler than you think. In order to sit for the licensing exam, you must have worked full-time for a principal broker with an active license for at least one year in the last five years. You also have the option to have worked 2,000 hours part-time as a salesperson. You will also be required to demonstrate that you participated in at least six real estate transactions and 60 hours of approved study. Becoming a real estate agent takes time and effort, but the career path can be incredibly rewarding. Contact us for more information to learn more about education for real estate agents in New Hampshire. Becoming a real estate agent takes dedication no matter where you live, and New Jersey is no exception. The New Jersey Real Estate Commission is in charge of ensuring that all those who pursue a career in real estate are eligible to do so. If you are thinking about becoming a real estate agent in New Jersey, following these steps will ensure that you are able to do so efficiently. In order to become a licensed real estate agent, you must be at least 18 years old and have graduated from high school or obtained the equivalent. Additionally, your license may be denied if you have been charged with a crime or are currently on probation or parole. If you meet the standard requirements, you can move on to the educational component of the process. In order to prepare for the license examination, you must first take and pass a 75-hour educational course. This course will cover basic real estate topics, including everything from ethical issues in real estate to regulations you must follow within the state of New Jersey. The courses will prepare you to be able to work in the industry upon receiving your license. They will also prepare you to pass the examination. After completing the pre-licensure courses, you are required to pass an examination. After receiving your results, you may apply for a license through a New Jersey real estate broker who has agreed to sponsor you. You may also be required to submit character references to prove to the commission that you are honest and trustworthy. 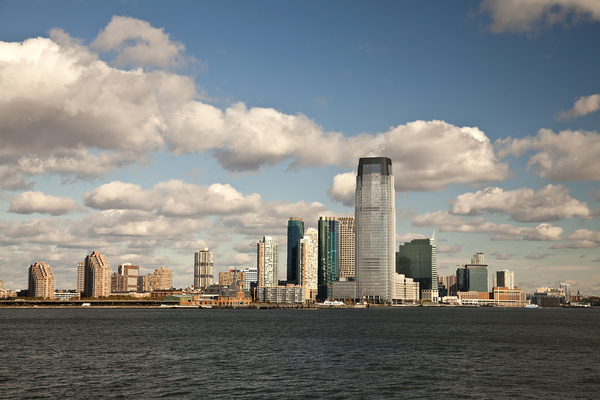 New Jersey’s real estate encompasses everything from beach homes to city flats. In order to renew your license in New Jersey, you must take 12 hours of continuing education courses every two years. Of these hours, six must be taken in core topics. Two hours are spent in ethics and the rest focus on disclosure, legal issues, fair housing, and real estate regulations. The remaining six credit hours are spent on electives. If you have completed at least 150 hours of pre-license education and a 90-hour general real estate course, you may be eligible to become a broker in New Jersey. You must also complete two courses of 30-hours each in ethics and office management. Additionally, you are required to remain licensed as a salesperson and employed full-time for three years. And of course,a passing exam score is also required. Understanding how to become a real estate agent in New Jersey can open new doors to amazing opportunities. To learn more about the educational requirements for the real estate industry, it is important to get in touch with professionals who understand them. Contact us for more information to learn more about your options. Are you looking to build a name for yourself as a North Dakota real estate professional? In order to complete these steps, you will find yourself in contact with the North Dakota Real Estate Commission. It handles everything from licensing to regulating the industry within the state. If you want to get started with a career in real estate, follow these steps to ensure that you can get started quickly. In order to work as a real estate salesperson in North Dakota, you must be 18 years old. Additionally, you must have a reputation for professional business practices. You may be asked to have a real estate broker vouch for your trustworthiness, and you may undergo a criminal background check and credit check. You must also not have had your real estate license revoked in any state within the last two years. After completing 45 hours of approved pre-licensing education, you are eligible to sit for the real estate exam. These classes cover topics related to finance, real estate law, and techniques for selling homes. By the time you complete these courses, you should be prepared to complete real estate transactions. Only applicants who pass the real estate exams are eligible to receive the license. You may be eligible to take the exam before you finish the educational portion of the requirements, but you will not be licensed until you have done both. If you pass the exam, you can send in your application and it will be approved. Completing post-licensure education ensures that you can help your clients find the homes that best suit their needs. Within one year of receiving your North Dakota real estate license, you are required to complete an additional 15 hours of post-license education. After this, licenses are issued for periods of up to two years. The renewal fee is typically the same as the initial licensing fee. Completing these courses ensures that you are always up to date. If you wish to become a real estate broker, you will be required to have worked as a real estate salesperson for at least two years. This requirement is typically only waived in specific circumstances where additional educational hours have been earned. Real estate does not have to be a difficult avenue to explore. Contact us for more information about the continuing education requirements for becoming a real estate professional.